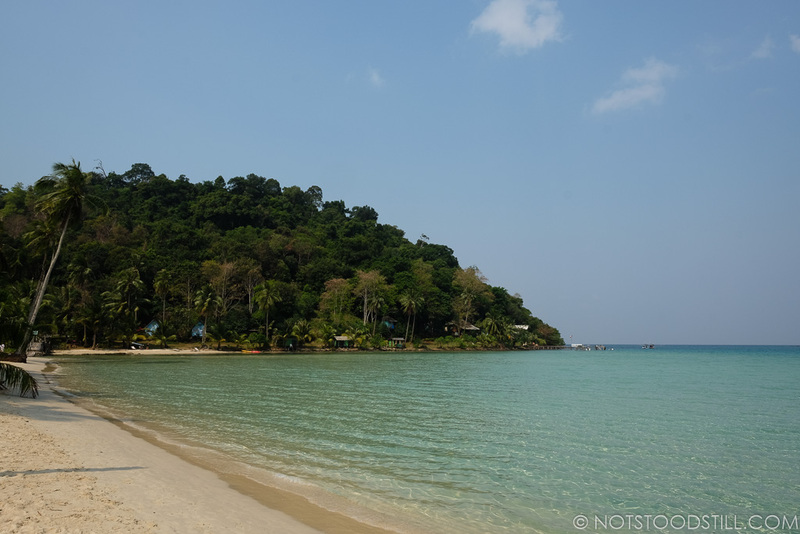 There are very few islands left that remain unspoilt by the huge numbers that come to Thailand each year. 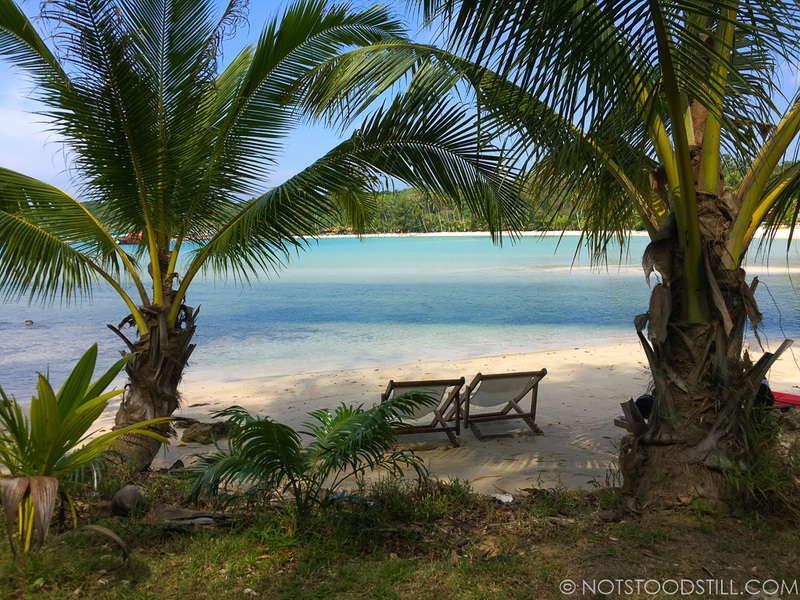 Koh Kood is the furthest island south in the Trat Province on the Gulf of Thailand, after Koh Chang and Koh Mak. 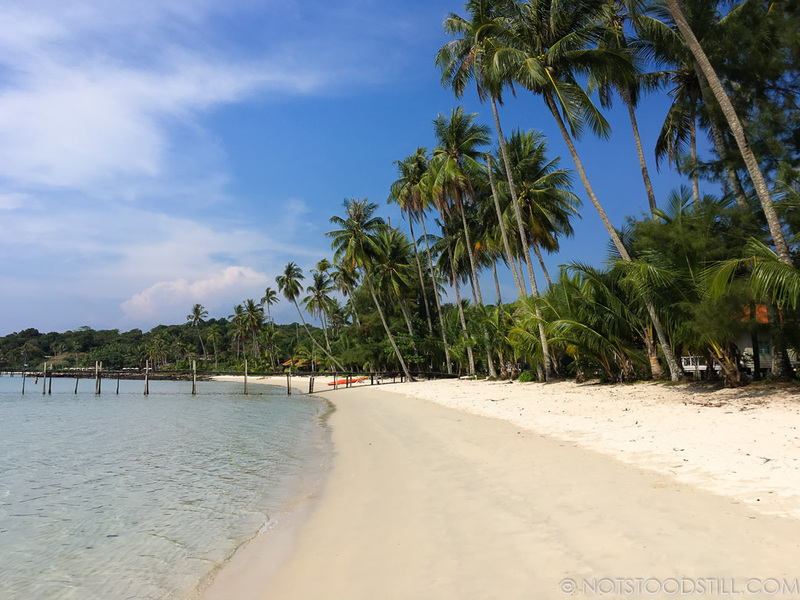 When we first heard about Koh Kood it looked like an idyllic place to escape (without the hoards), it sounded to good to be true and we had to check out it for ourselves. 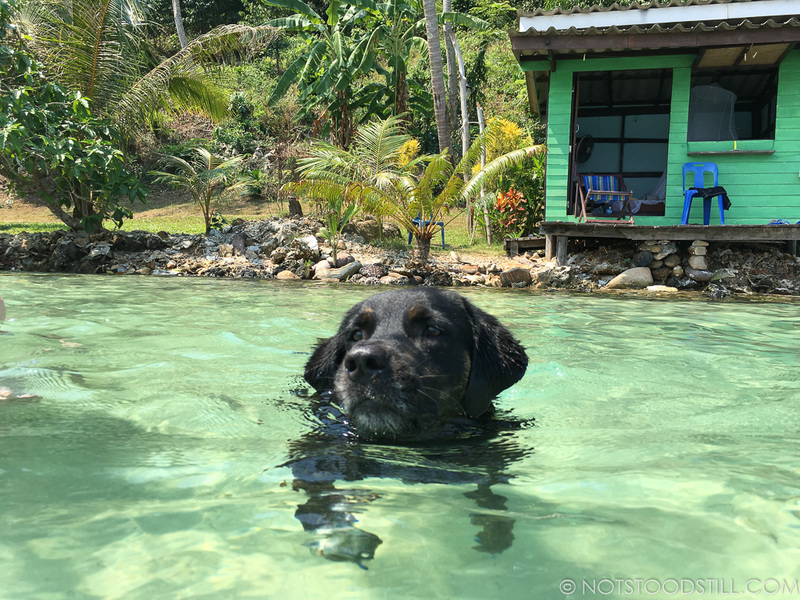 After a few days in Koh Chang, we said farewell to our friend Lila who accompanied us from Bangkok until now. 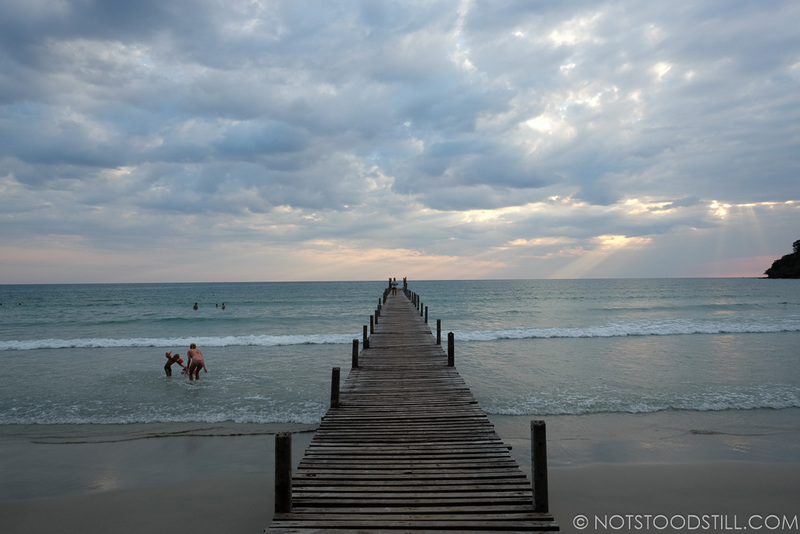 We booked a morning boat; a shared taxi picked us from our hotel and took us to a pier near Kai Bae Beach. The medium sized speedboat was full, we sat next to families and couples. 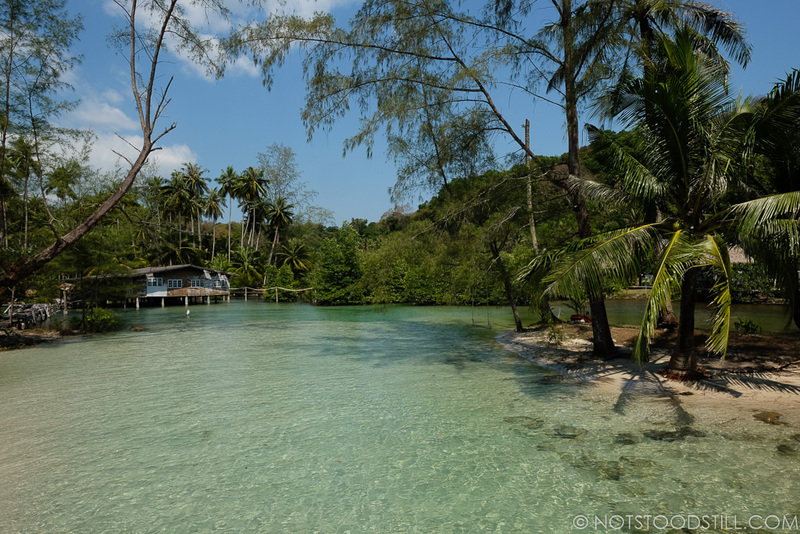 The first stop was Koh Mak, the smallest island of the three, most passengers got off here. The next stop was for us, the boat staff asked us where we were staying as they could drop us off as close to our accommodation as possible. 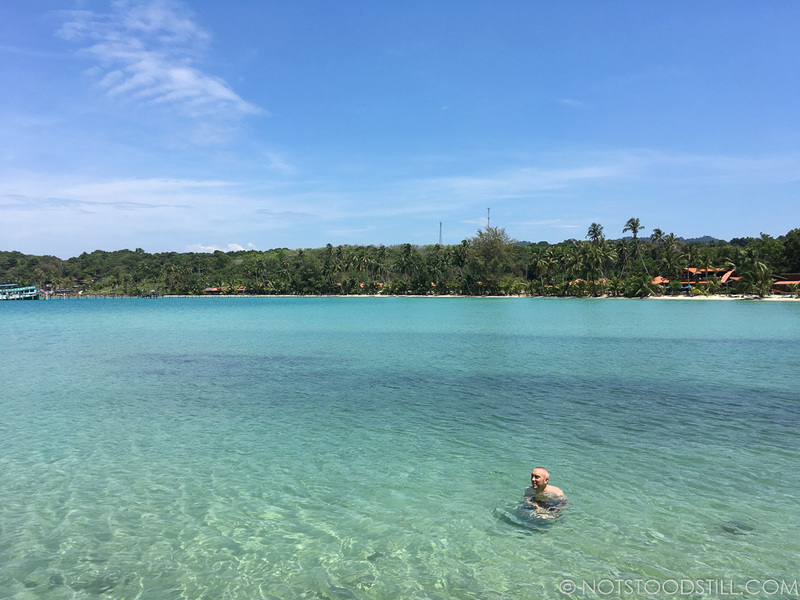 We arrived at Bang Bao Beach (also known as Siam Beach), this beautiful cove with it’s white sands and calm cerulean blue waters – we were instantly wowed and knew it would be hard to leave this island. 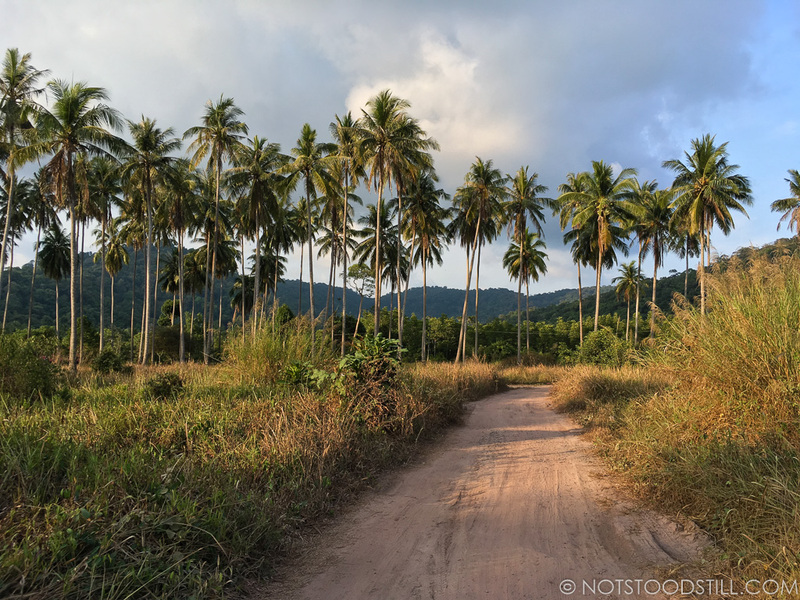 Koh Kood is only 15 miles (25km) long and 7.5 miles (12km) wide, there is one main road that stretches from Ao Salat (from the north east) all the way down to Ao Yai in the South East. 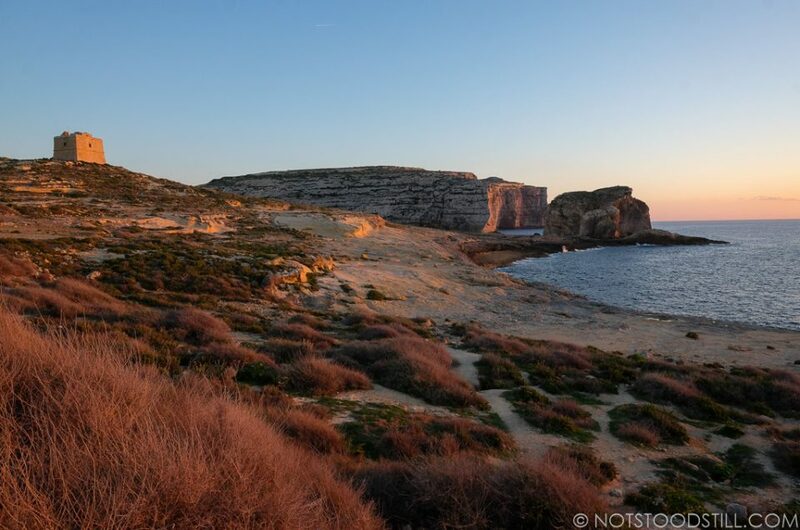 Much of the eastern side of the island is not accessible and off limits to tourists. Most of the hotels are on the west side of the island, but the development here is light and more spread out. 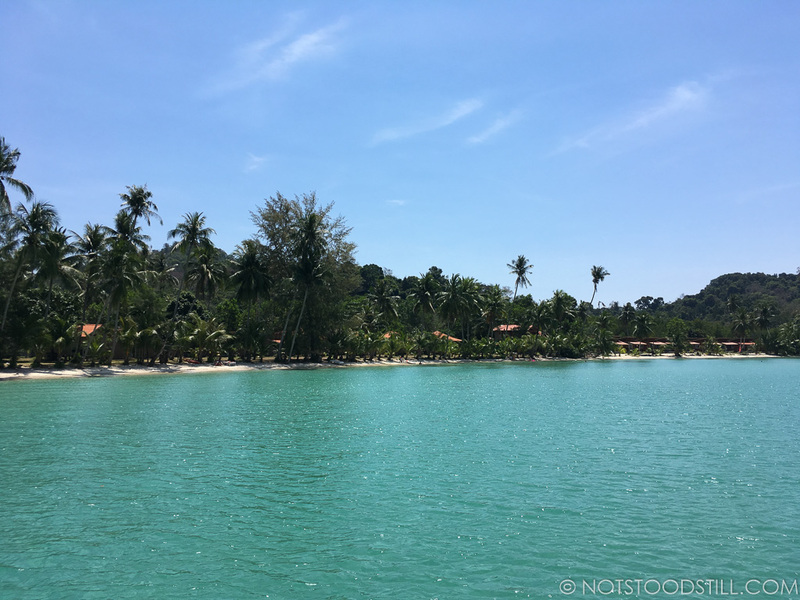 What we loved about Koh Kood was the peacefulness and the laid back atmosphere, although the island is small geographically it never felt over developed and refreshingly no 7-Eleven stores! Even getting money was a bit of problem, the island has only one ATM that accepts some Visa cards (more info under tips below). Koh Kood doesn’t really have a city centre or a main high street, many of the resturants and stores are dotted along the main road or close to resorts. 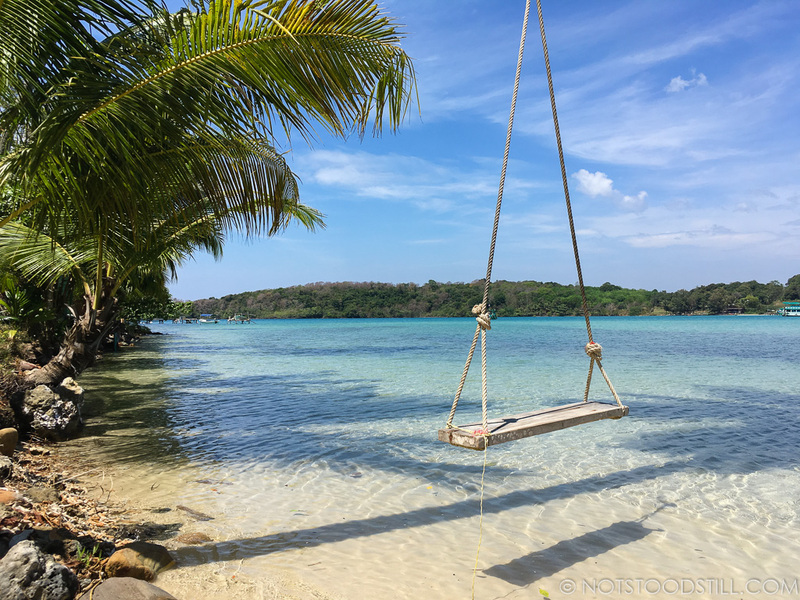 There is a small amount of construction in Koh Kood, it’s hard to ignore the new resorts being built as the popularity of the island increases. 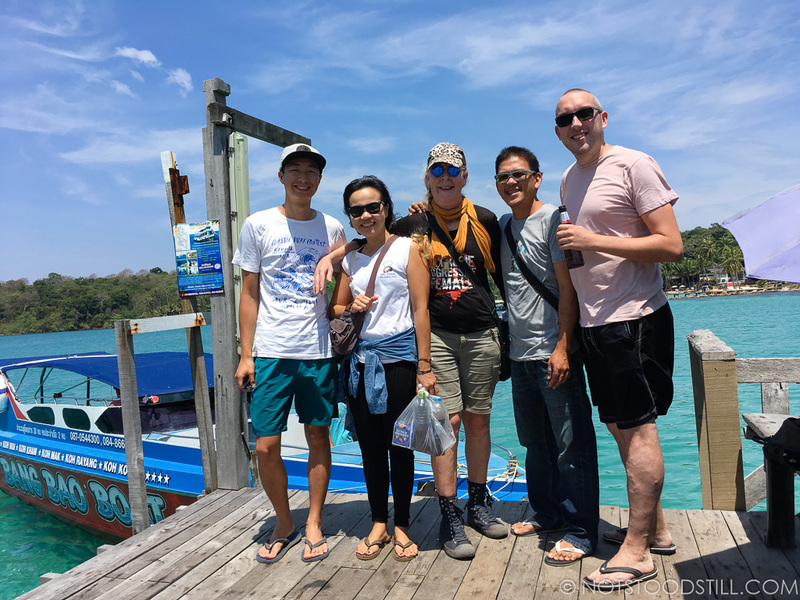 Locals who I spoke to don’t want the island to become next Phuket and they are keen in preserving as much of the island as possible. 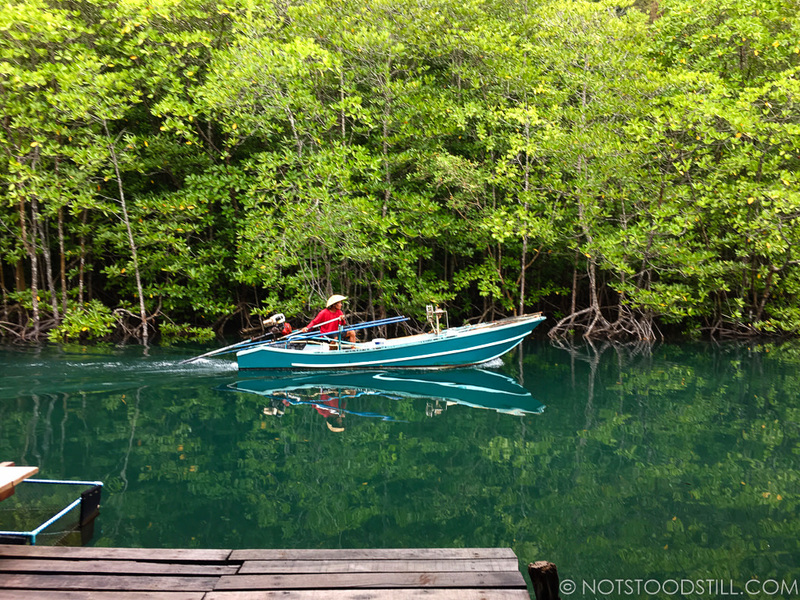 Renting a motorcycle is one of the best ways to explore this island. 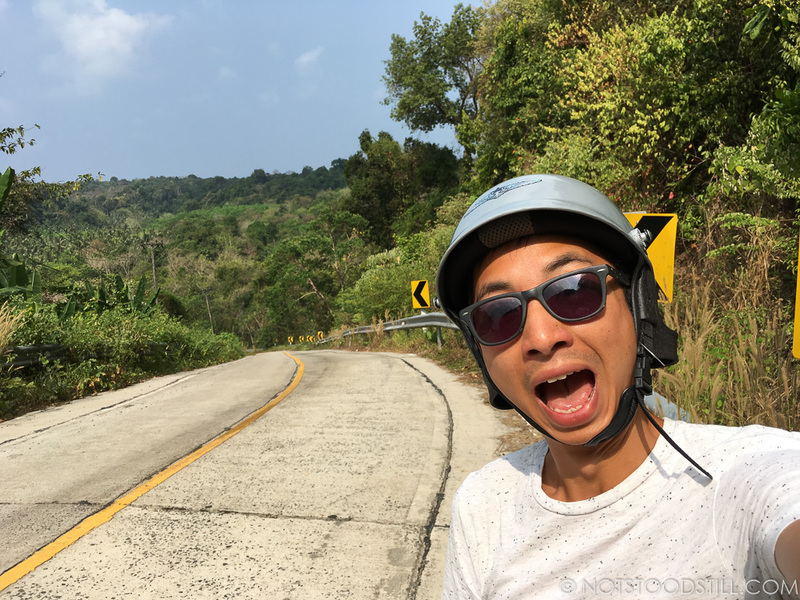 The roads (although the distance is limited) are new and in good condition – it can be hilly in some parts (nothing as extreme as Koh Chang). 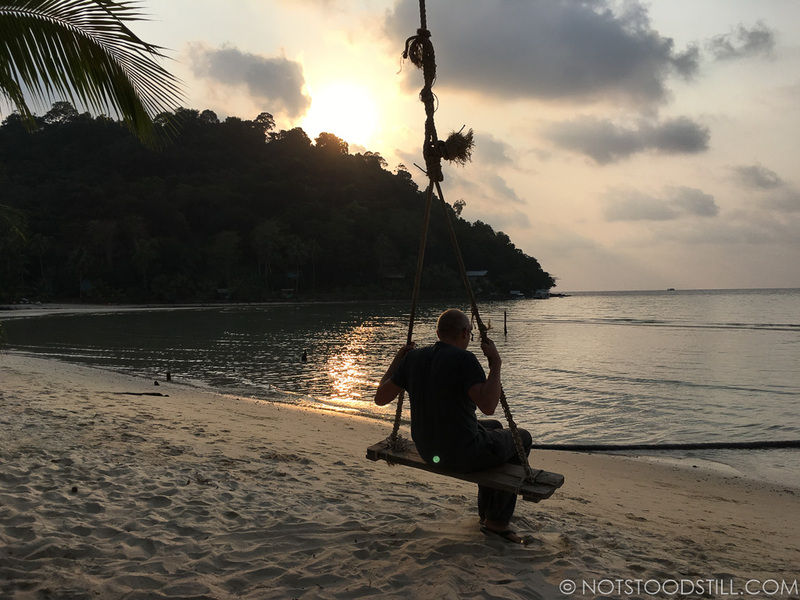 You will notice prices for food, accommodation and motorcycle rental is generally higher, we saw motorcycles offered at 400 Baht/day (£8) – double that we paid in Koh Chang. Shop around to find a better deal, we managed to get ours as low as 200 Baht/day from a young chap about a mile from our accommodation in Bang Bao (on the corner of the main road, as you exit Bang Bao). 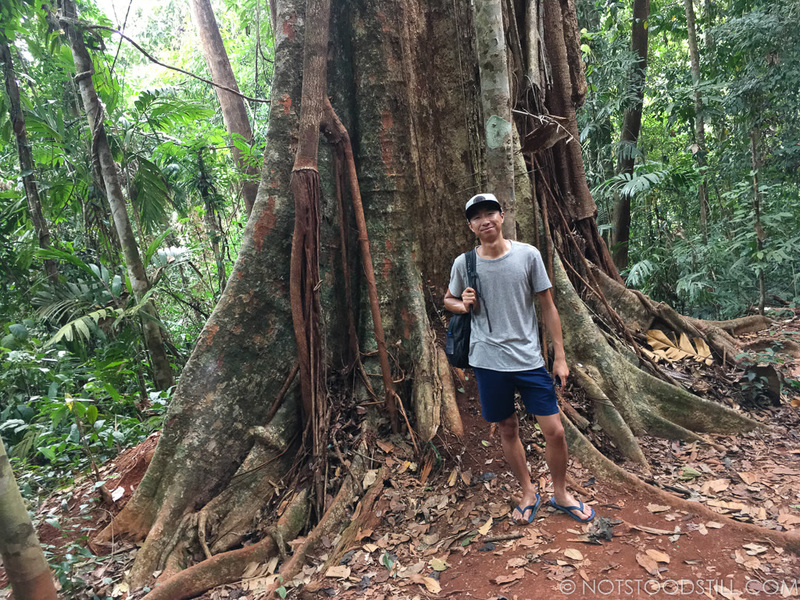 In Koh Kood’s jungle heart, lies two prominent ancient trees that are worth seeing; the 500 year old Makka Tree and the Big Chai Tree. 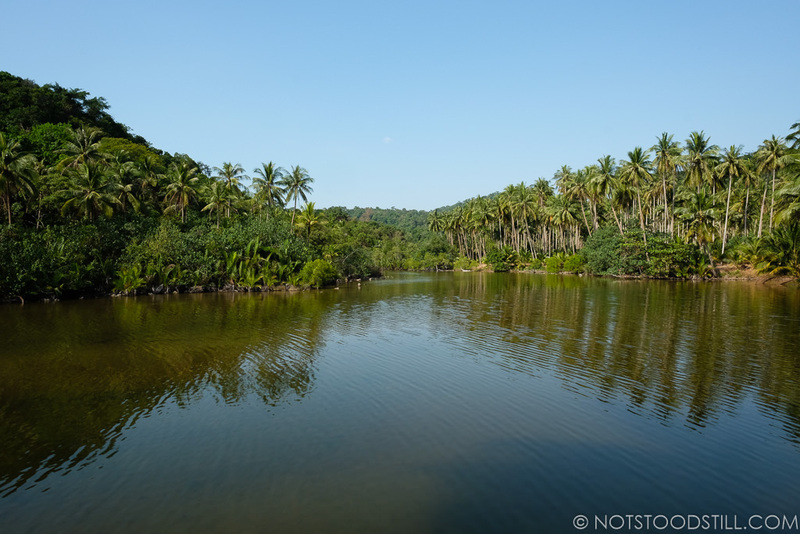 There are waterfalls here too, although during my visit they were dry; Klong Chao Waterfall and Klong Yai Kee Waterfall. If you go at the right season I am sure they will look incredible. 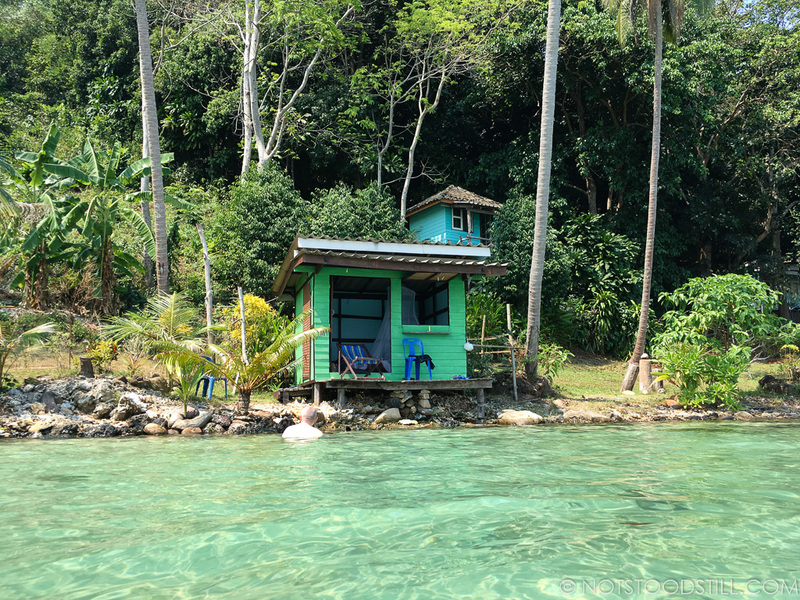 Ao Salat and Ao Yai are both original fishing villages, homes are built on stilts over the water forming a small community. 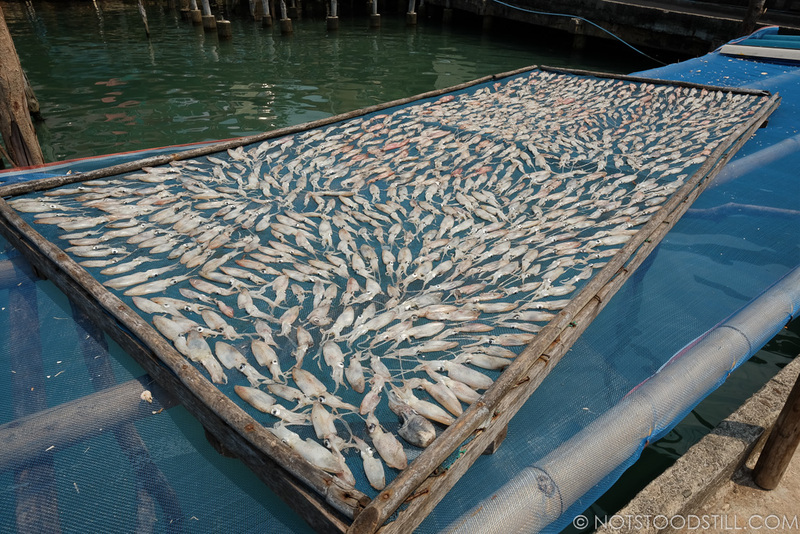 As well as fishing, many have adapted to tourism by opening resturants for tourists to sample local seafood. 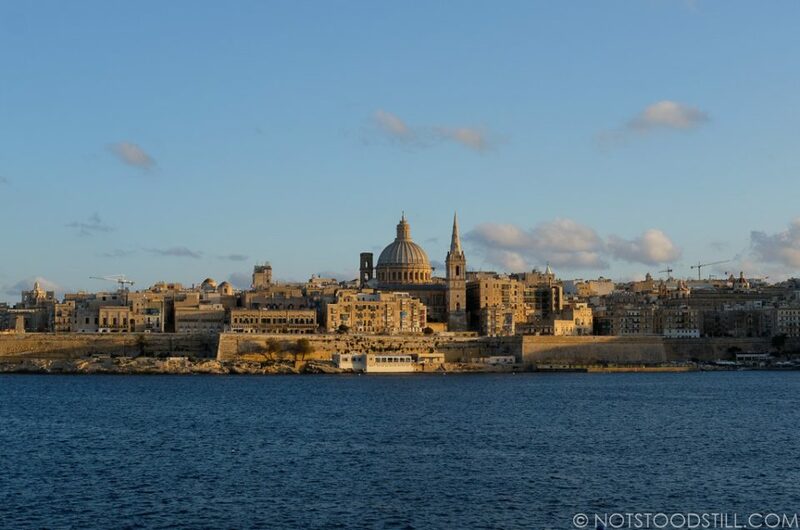 Water based activities are popular here, snorkelling and scuba diving diving are available from the dive centres dotted around the island. 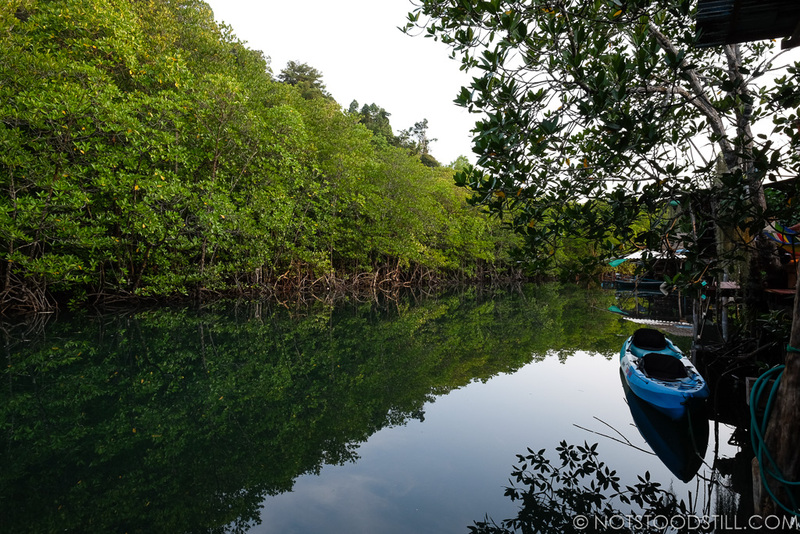 Kayaking is available and sometimes provided by your hotel, great for exploring the mangrove rivers and the different beaches. 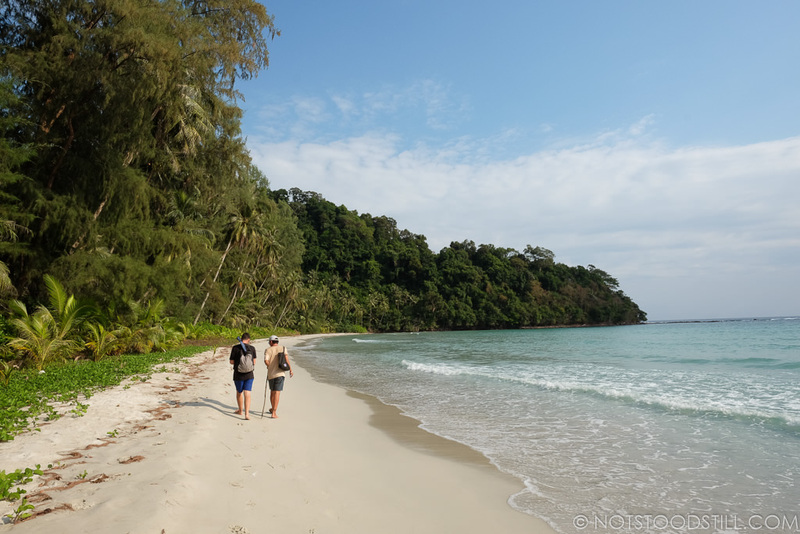 During our stay in Koh Kood, I’ve checked out as many beaches I could possibly find. 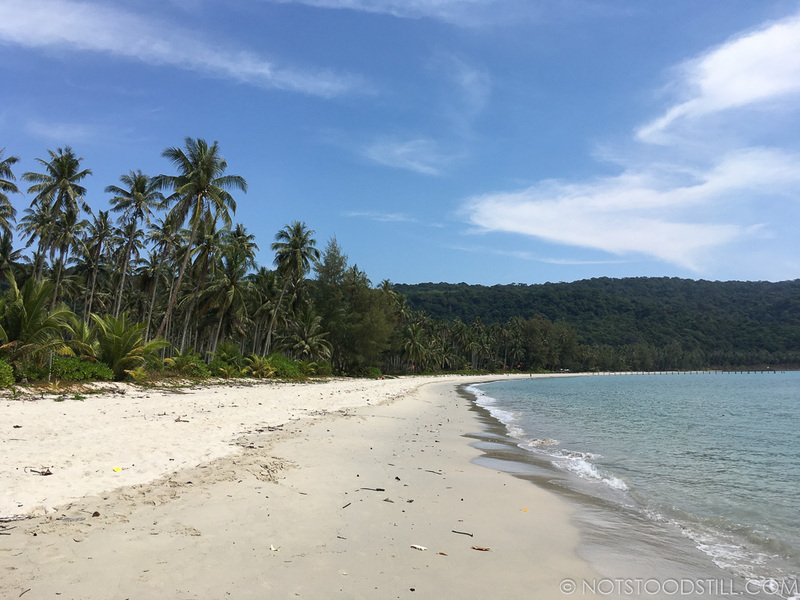 My conclusion is that it no beach can match the tranquillity and pristine waters of Bang Bao Beach. 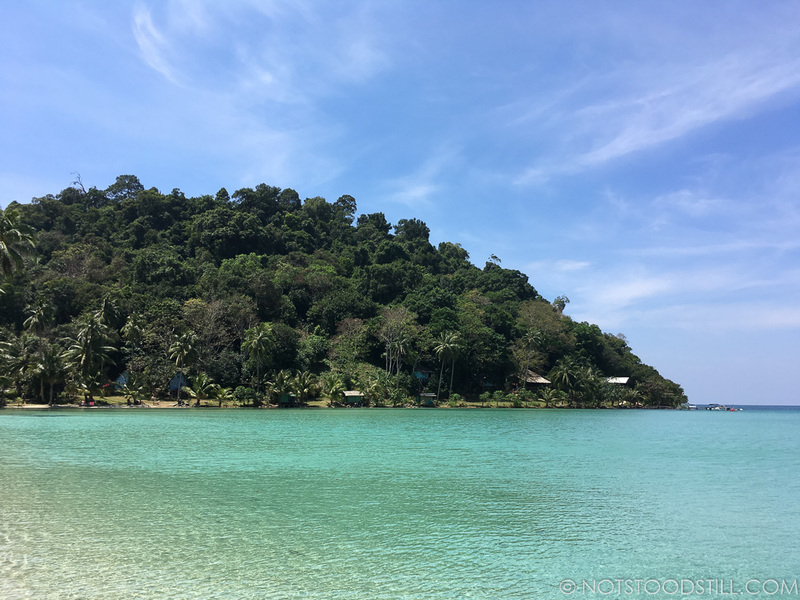 However, if you do want to escape to another beach, I can recommend Ao Klong Yai Kee Beach near the Captain Hook Resort, Klong Hin beach near Bang Bao and Ao Phrao in the South. 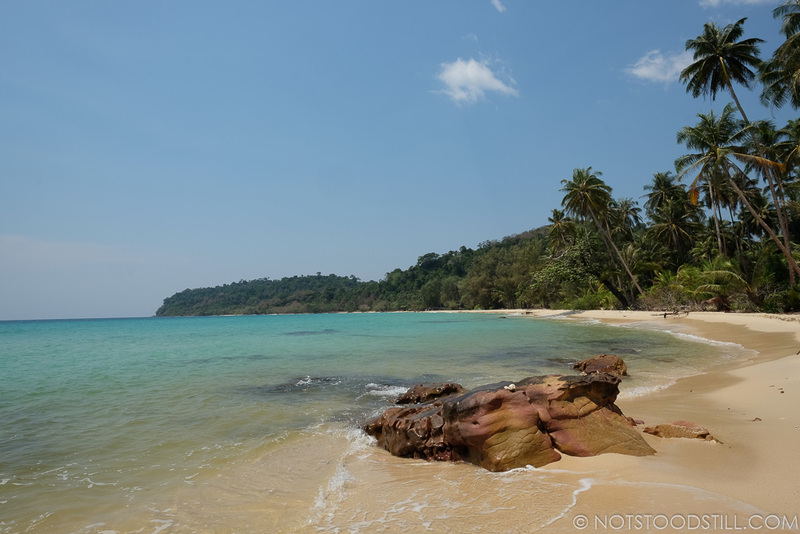 The beaches in Koh Kood are all beautiful, with ample space and they never feel overcrowded. 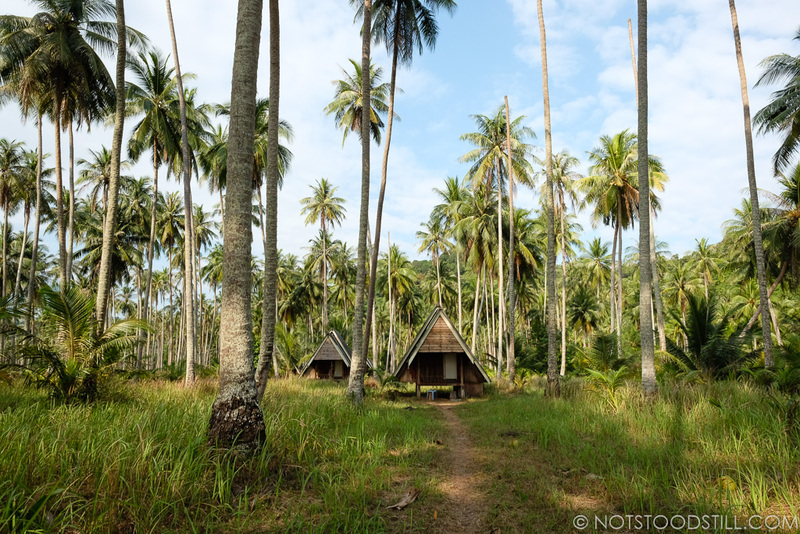 We stayed at two places in Koh Kood – our first accommodation was the Gumm Lonely Club at Ao Phrao. 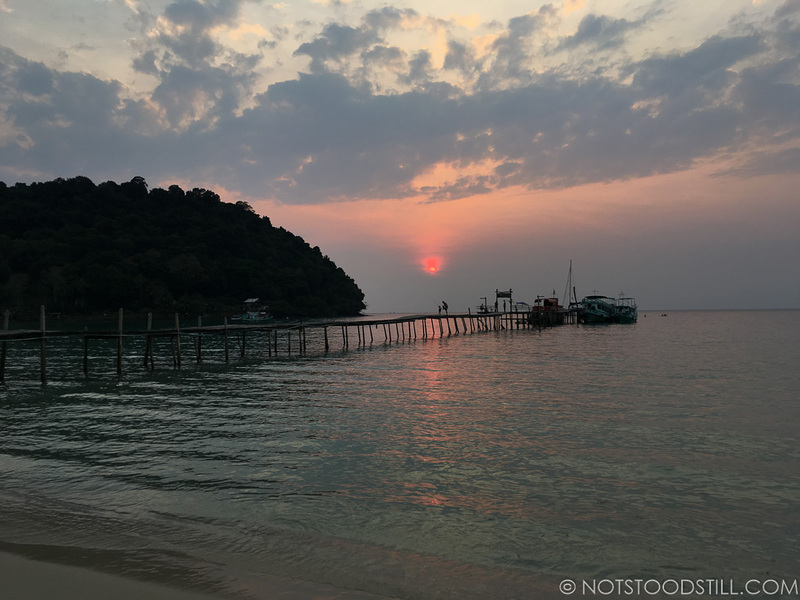 Bang Bao Pier is the closest drop off point if you stay in the southern part of the island. Gumm the owner, organised a taxi for us to bring us to his place. 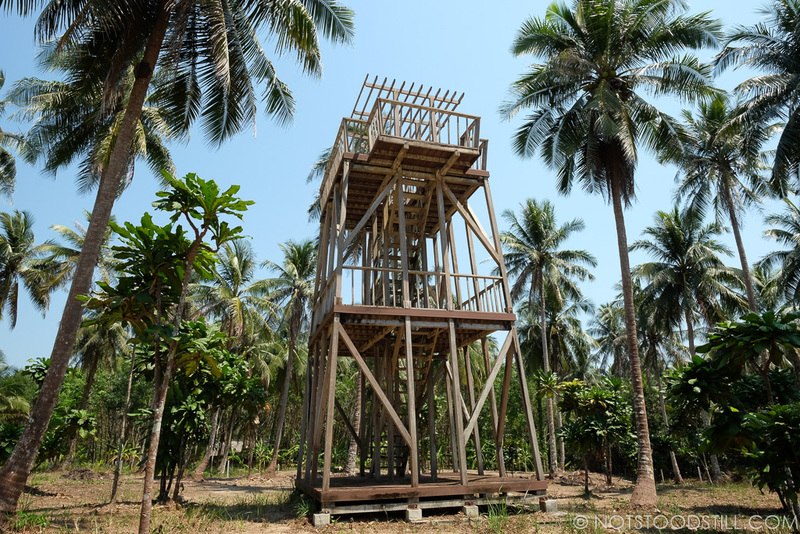 This is a lovely guesthouse style accommodation, lovingly created by Gumm and Jang. There are only three rooms, with shared bathroom (one bedroom has it’s private bathroom). 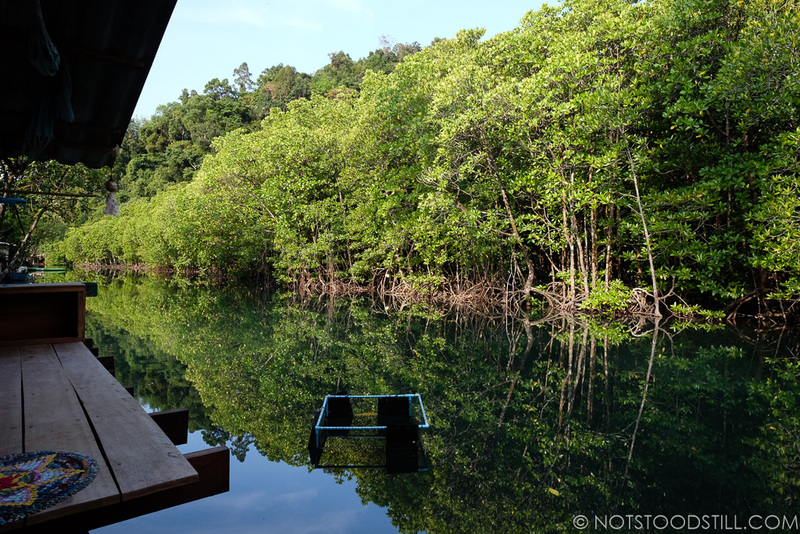 The house sits by a river, set amongst the mangroves – with an open veranda decked with hammocks and comfortable seating for guests to use. It is a really relaxing environment, and the hosts are brilliant and ensure you have a great stay. 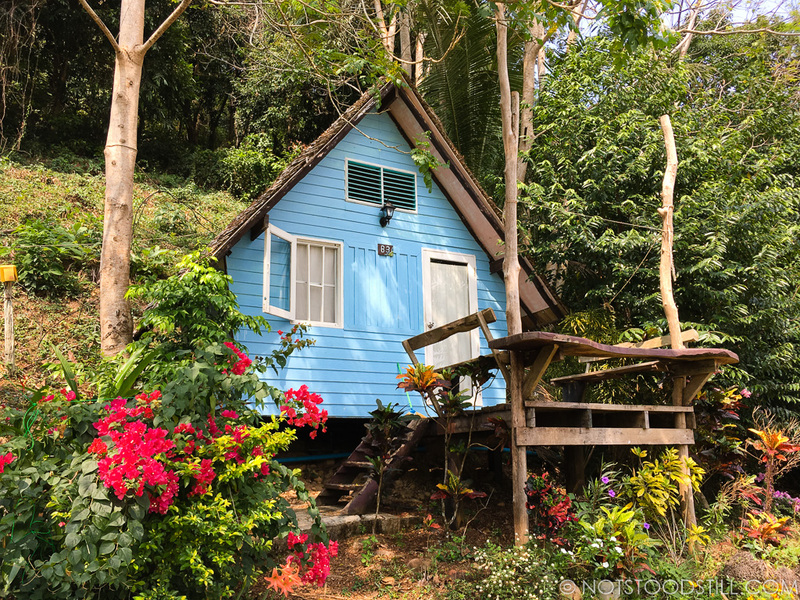 The house is a 5 minute walking distance to Ao Phrao Beach. 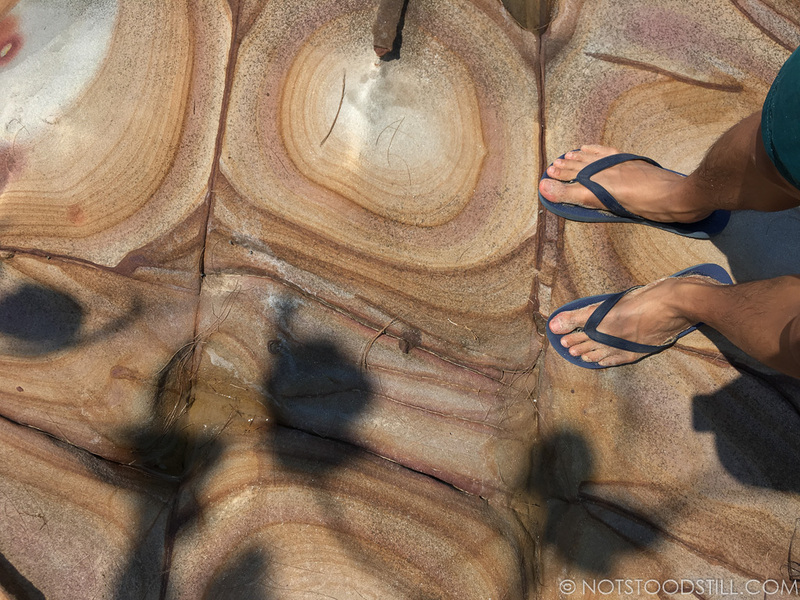 We later moved to Sand & Sea at the corner of Bang Bao Beach, this was another great find. 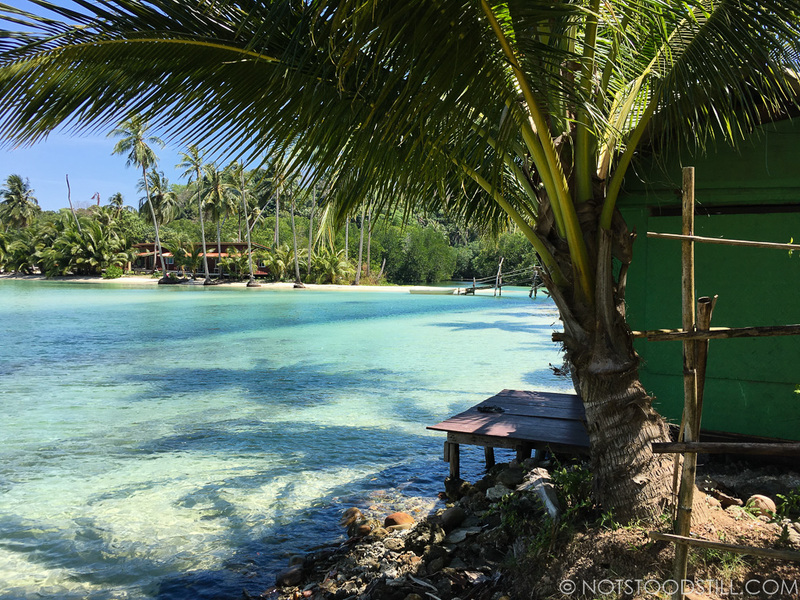 This was more of low key resort and consisted over a dozen wooden bungalows (which were looked rather quaint) and a main house where there are three more rooms. 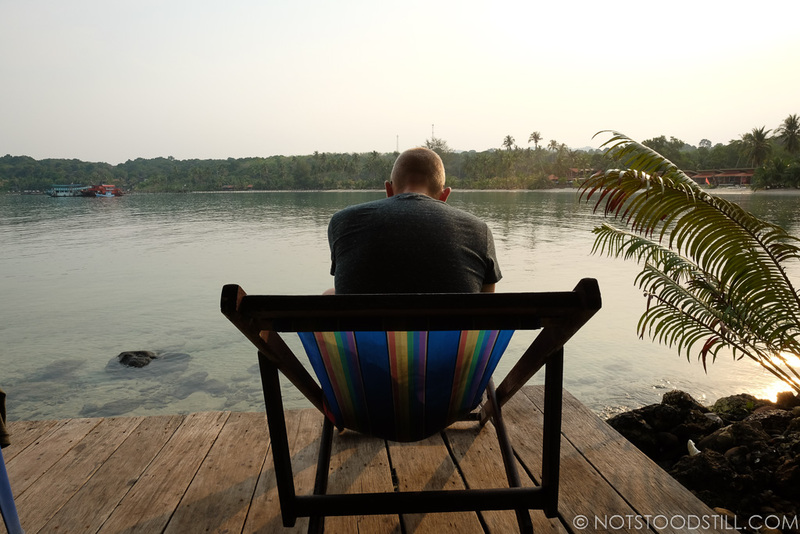 The main selling point of this place is that seaview, all bungalows have great views out to the sea. 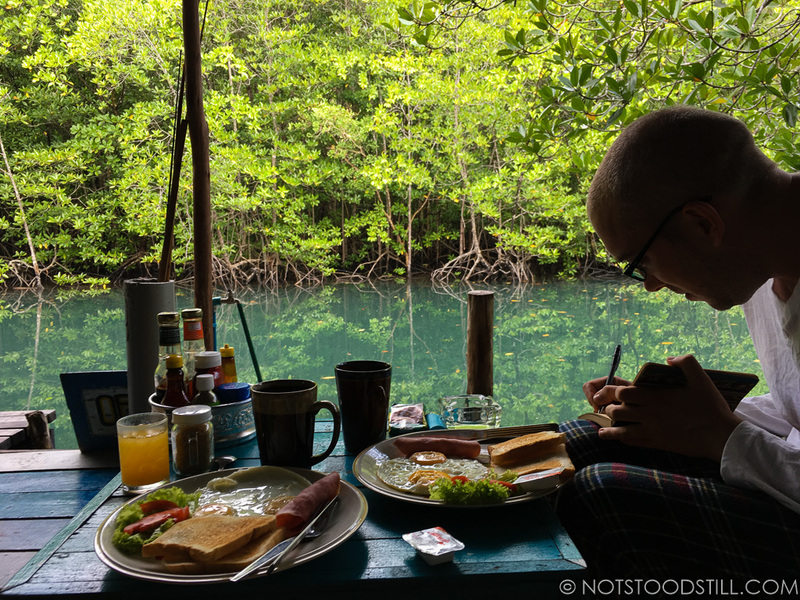 We managed to get one of the compact bungalows that sit right on the waters edge, with a mini veranda – each morning we would wake up and go for a dip. 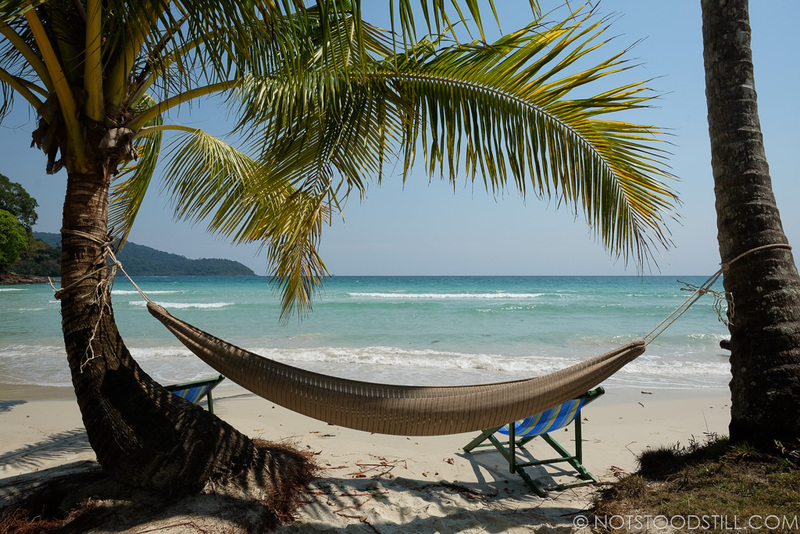 Sand & Sea is not bookable online, they mainly accept guests who walk up and but you can call their number to see what’s available: +66 81 861 6174. 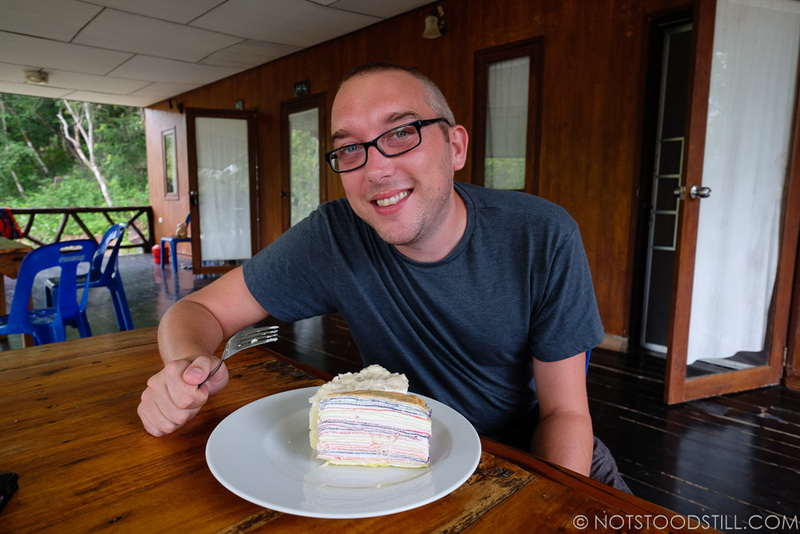 We ate mainly at the local resort resturants and at the accommodation’s own restaurant. 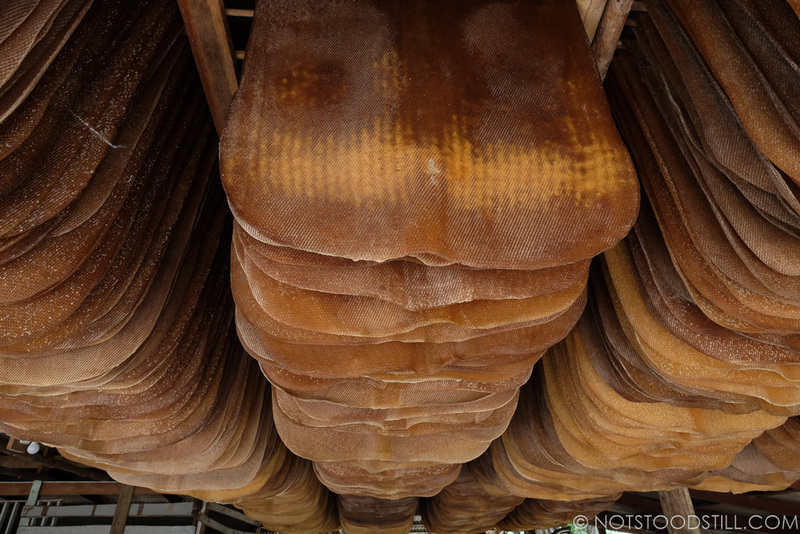 There are roadside resturants and cafes if you don’t mind motorbiking or cycling to get them. 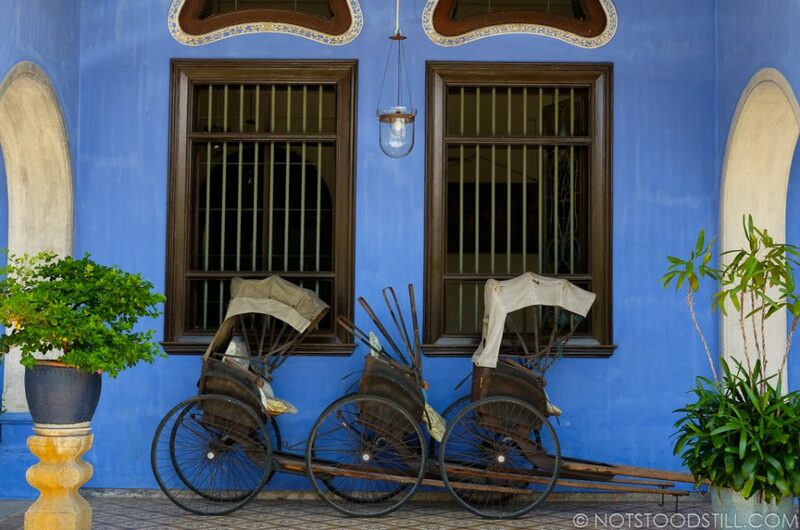 We recommend the Chiang Mai Restaurant – come hungry as the portions are large. 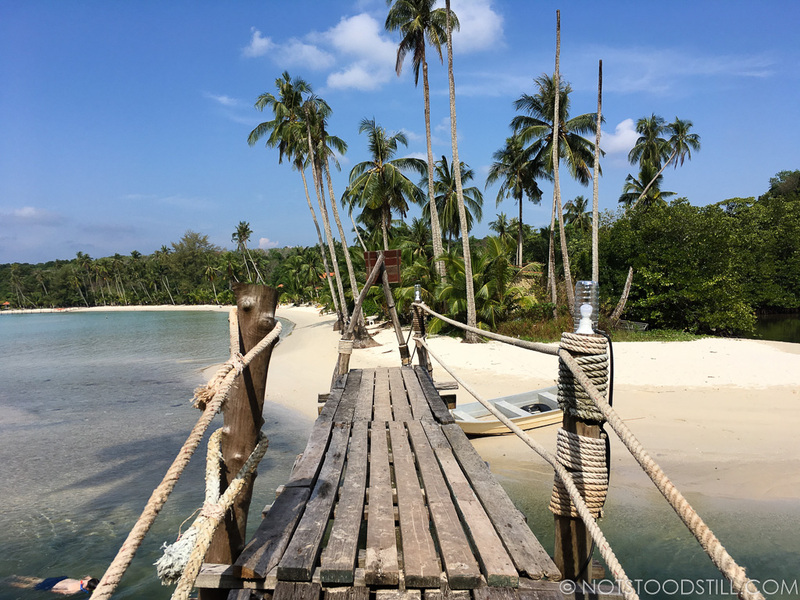 Another personal favourite is Waree Restaurant serving good Thai food at reasonable prices (also has a fruit stall outside), it’s opposite the Real Italian Restaurant not far from Koh Kood Hospital. 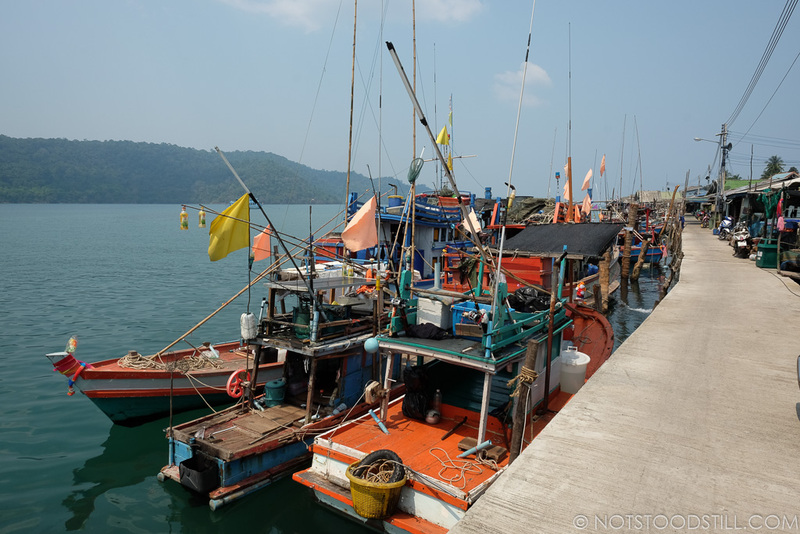 Whilst at the fishing villages of Ao Salat and Ao Yai, there are a good selection of tasty seafood resturants to try. There is only one ATM on the island provided by the Government Savings Bank (location here). A sign written in English will advise you that this ATM only accepts Visa cards from some countries. For MasterCard withdrawals you will need to go to one of the hotel resorts listed that provide a cashback service. The fee is usually 5%, which is high so work out exactly how much you need first. 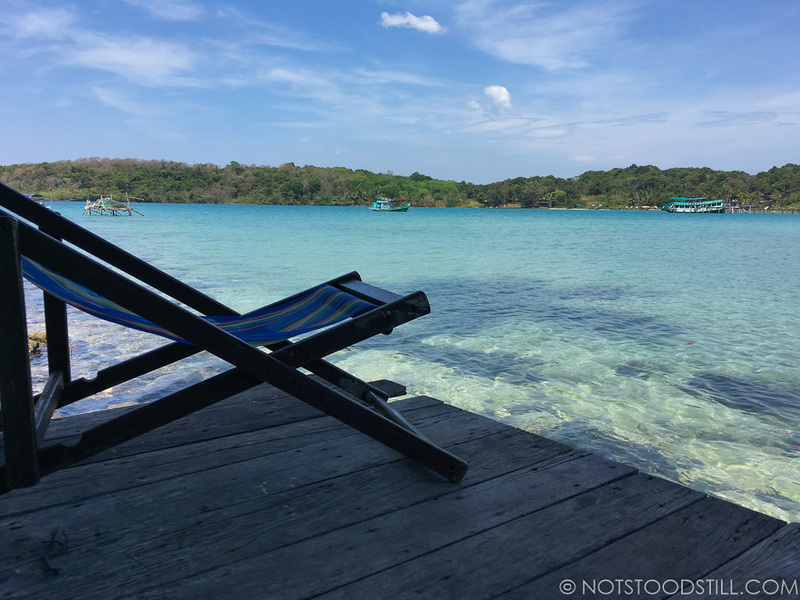 Prior to arriving to Koh Kood, I would advise you take as much cash as you can to last your trip (use the hotel’s safe if provided). 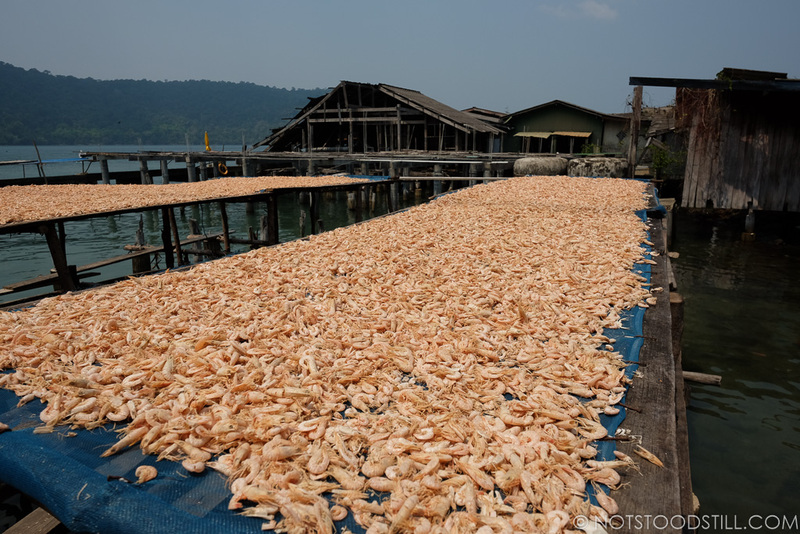 The accommodation prices are considerably higher compared to the rest of Thailand. 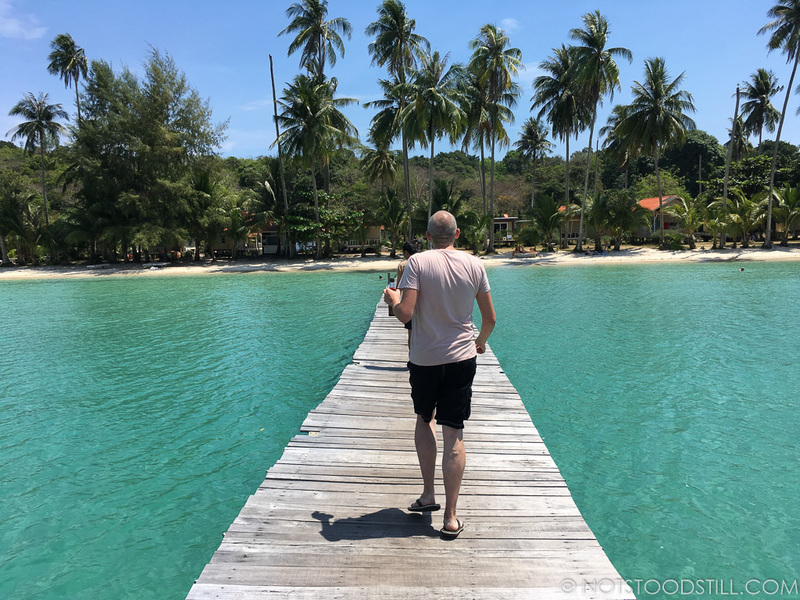 If you don’t mind moving around and looking for the best deal, I recommend booking a couple of nights at one place and then enquire locally to see what rooms are available at other resorts. Public taxis are rare, if you need transport speak to your hotel to arrange something for you. The best way to get around the island is by renting a motorcycle. Most hotels and resorts are able to book boat transfers for you. 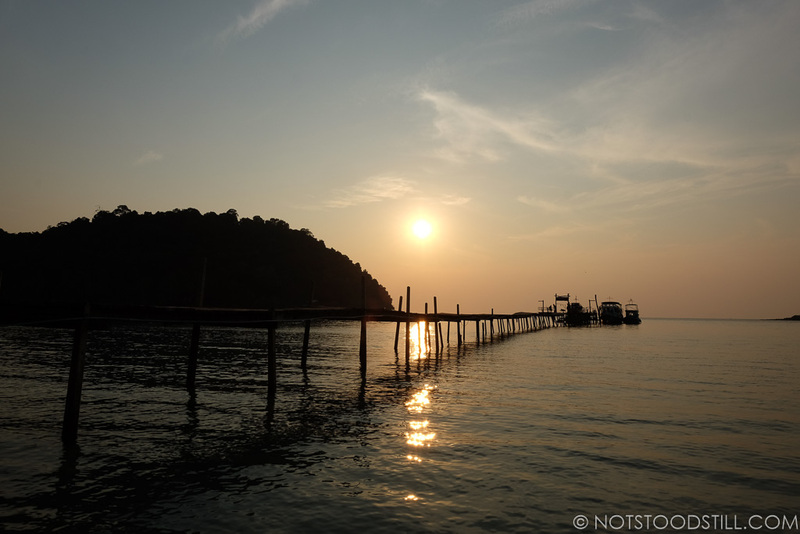 Direct boats are available to/from Trat (the mainland) where you can connect on to Bangkok – a combo ticket bus & boat to Bangkok cost us 800 Baht/£20 each. Keep the beaches clean and protect the environment by disposing your litter properly or taking it back with you. 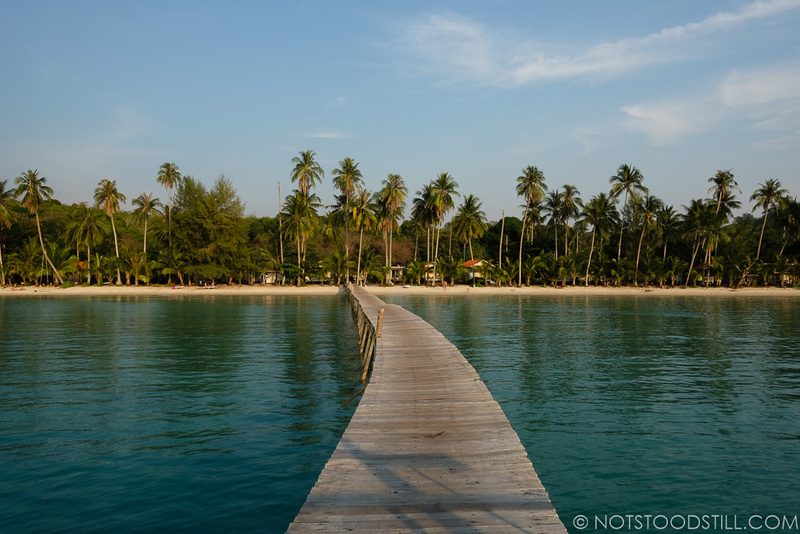 Gallery Preview, to see more photos of Koh Kood island escape click here.